We are running a session and test – over 65 km, and under 8 hrs- short journey. Cattle sheep goats pigs horses. Ring us on 01443 670267 , and we can help with PDP and applying for other farming connect courses at the same time. We can arrange a date and time for individual appointment, evenings, weekends, or weekdays. Or book onto our open course timetable with others, and cost will be £90 plus VAT. Glamorgan YFC members £90 plus VAT, on production of membership card. We can arrange a date and time for individual appointment, evenings, weekends, or weekdays. Cost £110 plus VAT. Or book onto our open course timetable with others, and cost will be £90 plus VAT. Please let us know if you would like to book in. Do you need to get your animals in transit test to transport animals over 65km? tuition and test, approx. 2.5 hours, held at Caerlan Farm CF40 1SN on Monday 21st of November. We need to register you prior to the day, so need your date of birth and other details several days before. No farming connect funding available, so no approval process. CALLING ALL YOUNG FARMERS, AND MAMS AND DADS . Started your Personal Development plan yet? Will you be at Rally Day? Simply The Best Training have a stand at rally day, the Farming Connect funding window is open in June, so we will be there to assist you in completing your personal development plans in order to access training. REGISTERED? Bring your CON number and password with you. NOT REGISTERED? RING 08456 000813 and Provide an e mail address for all the family members that will want to apply. (each person has to have a different e mail address). You will receive a CON number and password before rally day, bring them with you. There is different eligibility now which means that forestry businesses, smallholders with more than 3 ha, and some contractors will now qualify. We are guessing that most members will be busy all day, but for mams and dads that are chauffeuring, watching, stewarding etc, come and have a chat and get your PDP started. 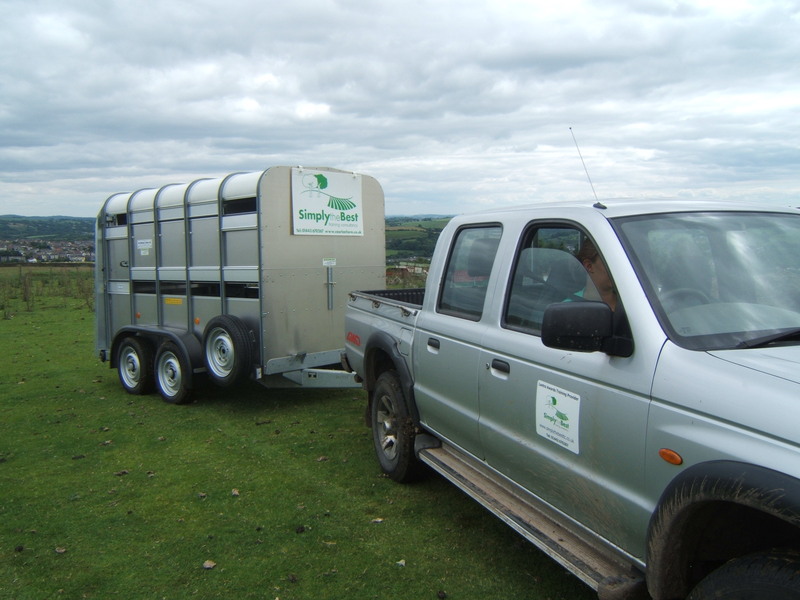 Simply the Best is sponsoring ATV training for non – farming members of Glamorgan YFC . We are also running dates for Welfare of Animals in Transit Tests on a weekend- half price to all paid up members, and mams and dads. ALSO –We will be running a food hygiene course on a weekend after the rally. Open to members, mams and dads etc. Open course. Details on stand. The June window is the last of the “funding year”. You are allowed 3 courses a year, only one of which can be from machinery section. So you can apply for a machinery course now, and then another in October, which is first window of the next funding year. Don’t miss it !